The Official Blog Tour for Hild! 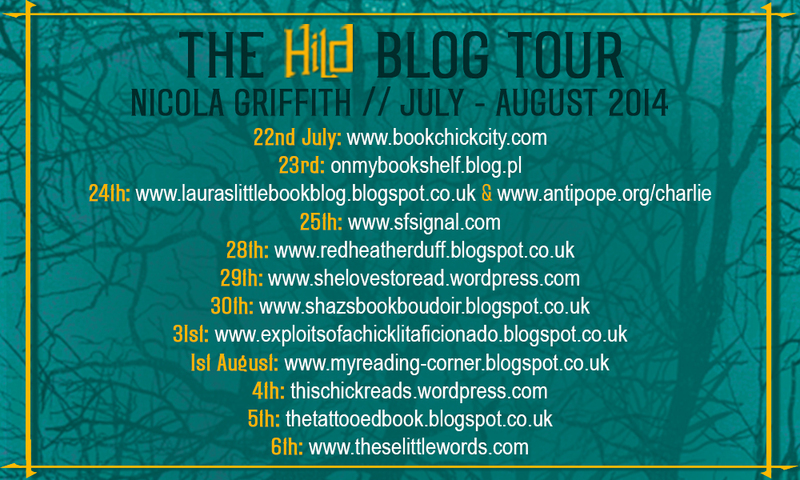 Just a quick note to say that I am very pleased and excited to announce that I am taking part in the official blog tour for Hild by Nicola Griffith! It will be published by Blackfriars Books (an imprint of Little, Brown) on 24th July, and I will be posting about it on 6th August. Hild tells the story of the life of St Hilda of Whitby, who lived in the 7th century. She was a niece of King Edwin of Northmbria and was said to be a ‘seer’ with special abilities. She also played a key role in the spread of Christianity in England. The writing is absolutely beautiful and I can’t wait to share more about this novel with you. This is the official blog tour schedule – be sure to follow the posts! ← Top 5 Books of 2014… So Far! This is very exciting, well done Lizzi! Looking forward to reading all about it.